James 5:16 says, "The prayer of a righteous person has great power as it is working." I know you believe in the power of prayer and I invite you to bow your head and heart to our Father for the following needs for this ministry. The Good News Clubs will end next week for this school year. 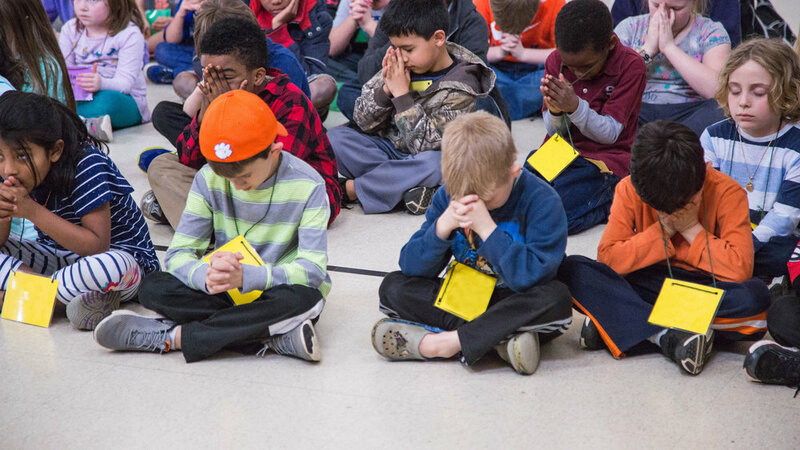 Praise God for 99 schools and 17 community facilities that have a Good News Club! Pray thevolunteers will finish strong, the children who have not responded to the Gospel will do so, and those who have responded will continue to grow in their walk with Christ. Many parents will be invited to the last club for the year and will hear the Gospel as it is given. Pray the churches will reach out to the families who are unchurched and who have children attending the club. Our staff is visiting clubs every afternoon to encourage the volunteers and to thank them for serving. Pray the volunteers would be receptive to our mentoring as we offer suggestions to make the clubs more effective in teaching the children and the volunteers will desire to continue serving in the clubs this fall. Pray for the six elementary schools that do not have a Good News Club. We continue to ask God to make a way for the door to be open in these schools. It is God's desire that "the little children come unto Me" and pray in faith that He will make a way for every school to have a club. In April we will have an appreciation time for the Good News Club Coordinators and Team Leaders. This is also an opportunity to give the calendar and suggested changes for the next school year. There is still much work to do in the weeks ahead to prepare for this. A staff member is in the process of scheduling summer clubs for the teens who will serve with the ministry.Please pray for favor with all aspects of the summer ministry. The CEF Annual Golf Tournament will be on April 24th at The Cliffs at Keowee Falls. We have been blessed with a Golf Committee that is making this tournament better than ever, and we are thankful for a full tournament of 30 teams. Please pray for the final preparations and for a beautiful day of weather. We need volunteers, if you are able to serve. Please call the office at 292-5842 or reply to this email. Please continue to pray for the Personnel Committee in their search for a new Director. Interviews should begin in early April. Thank you for faithfully bringing the needs of CEF and the children before God's throne.